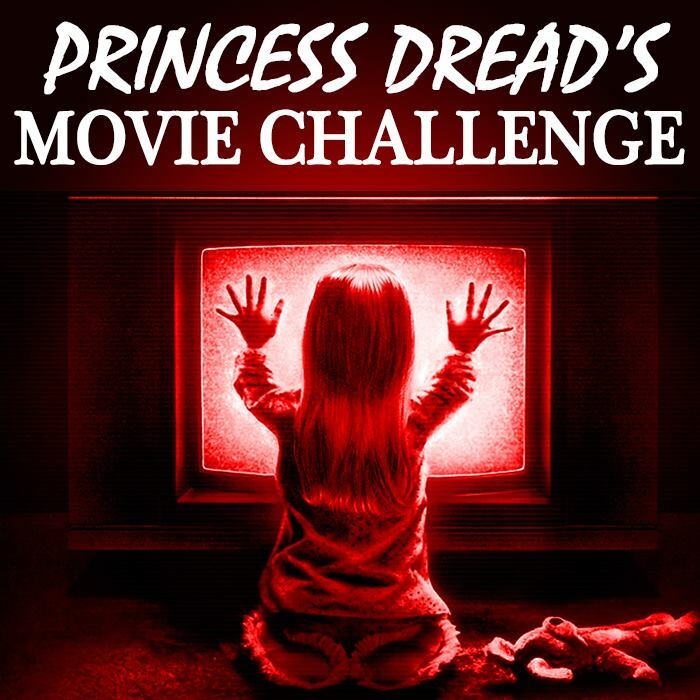 Finally a horror classic! It’s been a while. I decided to go with A Nightmare on Elm Street because it seemed like the most intuitive start into the foray of classic horror. Freddy, Jason, Michael Myers. The big trio. Maybe Leatherface, too. But that guy’s less a killer and more of an inbred kid in a dysfunctional family that needs a hug. The gist: The film’s Generic 1980s Kids all have the same dream: They’re chased by a psycho with razors attached to his hands. Things start to take a turn when one of them appears to die while dreaming, fighting the bladed glove man while blood just starts pouring out of her. The police don’t believe that it just “happened,” of course. They lock up her boyfriend, who of course turns up dead later. 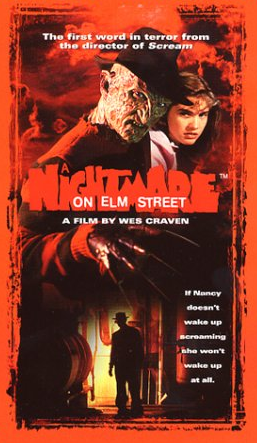 Here’s where the film actually starts getting interesting: One of the friends, Nancy (played by Heather Langenkamp, who later released a tell-all movie about the making of Nightmare) decides to stop sleeping. She thinks she can avoid dying at the hand of the bladed-glove man if she doesn’t dream about him. It works surprising well. But when her mom slips and tells her that the killer’s name is Freddy Kreuger, a child killer murdered by parents after he got off on a technicality, Nancy decides to up her game. What I “learned”: I believe in the principle that every bad movie has good ideas at its core. And there are some brilliant ideas n the first Nightmare. You just have to wade through a fair amount of nonsense to get there. If I’ve actually learned anything new by watching this film, it’s that I really need to be more patient with films. I often fall into the trap of needing a film to pay off emotionally within the first 15 minutes. A symptom of watching mostly American movies? In any case, it’s not a good thing. I need to hang around and see genuinely see what happens. Saying a film is “okay, but it has some good ideas” is way better than saying, “I turned it off in the first ten minutes because I was bored.” I’d rather know about those few good ideas. I’m glad I know the ones in Nightmare. See this movie if you like: Killers with personality. Freddy’s sadistic, and it’s fun to see him kill people. It’s part of Chucky‘s appeal—give the killer an interesting backstory, and you have an interesting movie. But in Freddy’s case, his victims and oppositional forces just aren’t interesting until later on. Maybe there are more interesting victims later on in the Nightmare franchise. Or maybe Chucky’s victims get more milquetoast with time. I will plead ignorance at this time. But as of this moment, I feel bad for Freddy. He’s such an interesting character. I wish he had more compelling people to mess with than just Nancy. Avoid this movie if: You know all the tropes of horror, and can’t see through them to the value inside. This is me about 75 percent of the time. I detest movies that use tropes to prop up a story, not as tools to tell it. I feel Nightmare is right on the border. Yes, sluts get killed first. But the kill is theatrical, and not nearly as sexual as one would expect. Nancy encounters moments of doubt while trying to catch Freddy, but they’re quickly resolved because Freddy just isn’t the type to stalk people forever. He’s quick and to the point. So if you can sit through the mandatory tropes, you’ll have fun. If you get your ya-yas from calling out tropes whenever possible, you may find it hard to sit through this film. Because it is trope heavy. It’s the originator!